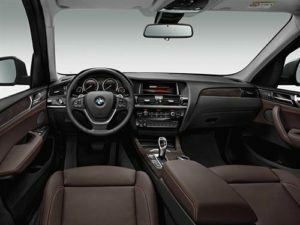 Looking for an objective review of the BMW X3 diesel SUV? OSV have got you covered, from engines to lease deals. 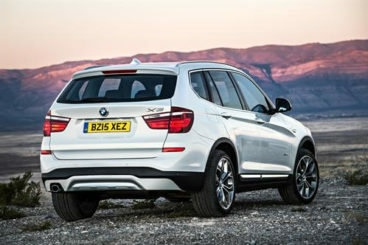 The brand new BMW X3 diesel SUV is aimed at families who want a large car that’s both fun and practical. It’s bigger than the coupe-like X1 but smaller than the X5, and therefore acts as a decent compromise between the two. As ever with a BMW, the X3 takes to tarmac like a bird takes to the air. It handles most situations with confidence, even if its sporty pretensions never quite manifest in the way you’d want. And with no petrols in the range, engine choice is between a handful of powerful but economical diesels. OSV takes a closer look at what it’s all about with our 2017 BMW X3 diesel review. There are one or two cars that are more entertaining to drive in this sector, but the X3 is hot on their heels. And with a potential 0-62 time of 5.3 seconds, that’s hardly surprising. Where rivals really have the edge is off-road. The X3 has never pretended to be a competent off-roader, and that’s a good thing because it’s strictly tarmac-only, despite coming with four-wheel-drive. On the road, it offers a beautiful driving experience. The engines are smooth and fluid, and there isn’t too much body lean. There is an M Sport model available, and it boasts sharper handling. It also comes with a Variable Damper Control system as standard, which tightens up comfort. With this system you can flick between Comfort, Sport and Sport+ Settings to get the setup that suits you and the conditions perfectly. We think BMW have nailed the Comfort setting, but the other two feel decidedly artificial. With no petrol engines in the range, you’ll have to settle for a diesel. The 20d kicks things off with more of a whimper than a bang, but its steady progress and 0-62 time of 8.1 seconds will suit a lot of people. It’s got a good amount of performance, and is super affordable to run. For families, it’s probably the top pick. However, if you want more pace you’ll need to look at either the 30d or 35d models. The former covers the 0-62mph dash in just under 6.0 seconds, while the latter can do it in 5.3 seconds. However, these two models could really stretch your budget, and their listing-price isn’t exactly family friendly. We were pleased with the way the outgoing X3 managed to keep out wind and road noise, and it’s a similar story here. Similar, but better. The interior is a quiet place to be, with the modified 2.0-litre diesel unit now no louder than the sophisticated diesel engines in the likes of Audi’s and Mercedes SUVs. The cabin as a whole is a similar story to last time around. The outgoing X3’s dash was known for its high quality, and it’s pleasing to see that BMW have managed to maintain it. The dashboard continues to be driver-oriented, and we like the soft touch plastics that are pretty much everywhere. The switch gear is easy to use, and feels well damped. If you’re looking for a practical BMW, the BMW X3 diesel SUV has a lot going for it. It’s more spacious inside than the 3 Series saloon, and also offers a bigger boot. Four-wheel-drive beefs it up, and ensures it can act as a solid tower. The upright styling might immediately win prizes for aesthetics, but it also earns bonus points in the practicality category, as it means headroom is good upfront and in the back. The steering wheel and driver’s seat offer plenty of scope for adjustment, while storage spaces include a massive glovebox and deep door bins. The boot measures 550-litres, which is generous. The split-folding rear seats have a 40:20:40 ratio, and extend the boot to 1,600-litres when dropped down. And with a flat floor and no lid, the boot is super usable. Standard equipment is good and includes 17” alloys, air conditioning, satellite navigation, cruise control, rear and front parking sensors, Bluetooth connectivity, and heated leather seats. Variable Damper Control is standard on the M models but an optional extra on the rest. We recommend that you add it, as it shores up suspension, ensuring the X3 is a very comfy place. However, it’s not essential and the 19” alloys enhance the ride quality. The M models also get 19” alloys as standard. Other optional extras we recommend include a WiFi hotspot feature, and wireless phone charging. When the car was put through its paces by Euro NCAP, it came out with flying colours, scoring five out of five. Its standard safety kit includes a seatbelt warning reminder, electronic stability control, and 6 airbags. Prices for the new car start out from £34,000 and rise to £46,000. For more information on our lease deals, you can check out our page here. In terms of its running costs, you won’t be picking up a huge bill. The 20d offers the best blend of performance and economy, and average returns of 55.4mpg while costing £130 a year in tax. The 30d is faster and averages 50mpg, but your exact numbers are subject to change according to the size of the wheels you go for. When it comes to insurance, the 20d sits in group 30, wile the less modest 35d is high up in group 43. Easily one of this cars biggest strengths is its practicality. Thanks to its shape, interior space is awesome. Smooth and fluid engines contribute to great ride quality. The cheapest engine can return fuel economy of over 55mpg, which for such a big car is fantastic. Diesels are popular with punters who buy these cars, but it would be nice to have a broader choice. The cabin is smart, but it’s all a bit plain-Jane and harks back to a disappointing era when SUV cars were just as boring as England friendlies. Let’s see how the car fares against its rivals in the comparison section of our 2017 BMW X3 Diesel SUV review. 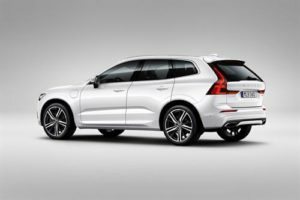 The new Volvo XC60 SUV has a lot to do if it’s going to convince buyers of its worth in a sector packed with all-star talent. Its biggest problem is its age: This is not a young pup by any stretch of the imagination. And in a market where fashion trends are mattering more and more, its advancing years could really count against it. The best way to describe its driving experience is safe and solid, two adjectives that don’t exactly wet the tastebuds. Still, this is a car aimed at buyers who want to feel secure on the road with their families, and who want to be calm and composed in bends. There is no fun to be had, but that’s not necessarily a bad thing. However, a criticism we have is its artificial steering. It’s heavy enough, but lacks naturalness. Unlike the BMW, the Volvo offers a petrol engine. It feels more like a token gesture, though, and we don’t expect it to sell well. It’s a turbocharged 2.0-litre unit that powers the T5 model, and it can do 0-62 in 7.2 seconds. Out of the diesel models, our top pick is the D4. It’s powered by a frugal, quiet and smooth 2.0-litre engine that can do 0-62mph in just over 8.0 seconds. It missed out on four-wheel-drive, though. If this is a concern of yours, check out the D5. Backed by a 2.4-litre diesel engine, its four-wheel-drive system adds weight, grip and more security, but it loses pace. In terms of running costs, the D4 diesel model is the cheapest to keep on the road. It costs just £30 a year to tax, and returns fuel economy of around 62.8mpg. Most of the engines in the range are thrifty, but buying the Volvo over the BMW by virtue of how cheap it is to run alone seems a faintly odd notion. However, efficiency really is one of the XC60’s biggest strengths. Its interior can’t compete with the classy one in the X3, but it does have plenty of highlights. It’s comfortable and relaxing, and its seats are more supportive than the ones in the X3. It’s quiet too, and does a good job of keeping out most external noises. The dash is well laid out, and the cabin as a whole looks smart. As a bonus, the quality of the plastics used is also high. Like the BMW, the Volvo has a tall body, which is good for headroom. Five adults can fit in this car, and should be comfortable enough. Four-wheel-drive models are better towers than the two-wheel-drive ones, but all models get a 495-litre boot. That’s considerably smaller than the BMW’s, but the seats fold totally flat and extend the boot space to 1,455-litres. 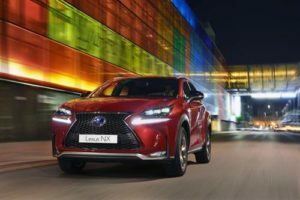 The brand new Lexus NX SUV boasts striking looks, and as ever makes for a rather brash alternative to the usual suspects. If you dare to be a bit different, it’s worth a closer look. The driving experience is hit and miss. The best thing you can say is that the NX feels good on the motorway but much less so in the town, where it suspension starts to feel overly firm. It’s not got as much composure as the X3, and it lacks grip. Worse still, you don’t get much feedback from the light controls. Four-wheel-drive is almost standard across the range, with only the entry-level model missing out. Unlike the BMW, there is a petrol engine to choose from – but no diesels. There is also the option of a hybrid. This 300h model combines an electric motor with a 2.5-litre petrol engine to produce up to 195bhp. That’s not enough power for a car of this size, and you never get the outpouring of acceleration you’d like. Your only other choice is the 200t petrol model. It’s better to drive than the hybrid, and can develop more power – up to 235bhp. But that also isn’t enough to really get the best out of this car. Still, more power and less weight (the hybrid’s battery park adds a fair few pounds) means the 200t is more agile and has more surge of power. Lexus love to play the role of devil’s advocate, but we fear that their self-imposed role of being the different choice may have come undone with this one. Without a diesel option, it’s hard to imagine how the NX can outsell its rivals. The hybrid looks attractive enough on paper, with its fuel economy returns of 56.6mpg and yearly road tax bill of £30. But in the flesh and on the road, it’s just not up to scratch. The petrol, meanwhile, will hardly appeal to cash-conscious families with its average fuel economy returns of 34mpg. There are things to like about the way this car is designed, though. From the outside, it looks fresh and contemporary, and even inspired. Inside, a funky, smart design complements plenty of plush materials, while supportive seats ensure comfort. Lexus have also been mindful to pay attention to the details; we like the portable vanity mirror that you’ll find behind the central armrests bin lid, while the infotainment system comes with a touchpad. It’s very tech-oriented. In terms of practicality it doesn’t fare too badly either. The boot measures 550-litres, which is on par with the X3’s, and it comes with a space-saver wheel. Interior space is good upfront, but a bit more compromised in the rear, primarily because backseat passengers are placed higher up. This gives them a better view and could reduce travel sickness, but it does limit headroom. Not all BMW’s can be glamorous. Some, like this, have to be useful, family-friendly, and able to rough it when the going gets tough. Like the Volvo we looked at, this X3 is going a bit grey on top. It’s a proper stalwart in this sector … but surely experience is a good thing, right? As ever, it remains a strong contender. 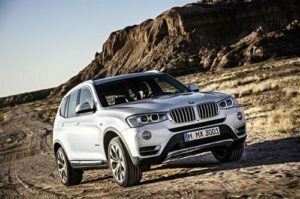 There are younger models that are crisper to drive, but the new BMW X3 Diesel SUV remains one of the most desirable family cars in the 4×4 sector that won’t let you down.